Inadvertently converting items after compression/translocation/transmutation is no longer possible. Added greying-out to item icons in inventory when not usable. Selected drag mode is now saved. Fixed a bug where sliders could cause a crash. Added an Opacity setting for the ‘mouse over’ border on dungeon tiles. Reveals on death no longer show boss speeches. Fixed a bug where menu would retain in-dungeon state even in kingdom. 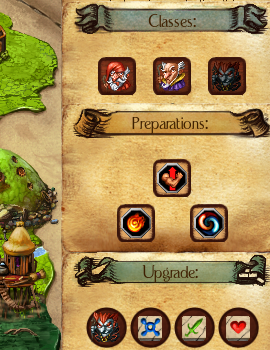 Fixed a bug where lockering items right after upgrading the guild could cause odd behavior. Trails now have a maximum time to live. Fixed a bug where clicking on the character could swap selected tab to inventory.